Laminated pictorial boards. Ex library. No ordinary bear cold travel all the way from Darkest Peru with only a jar of marmalade. But then Paddington is a very special bear and unusual things are always happening to him! 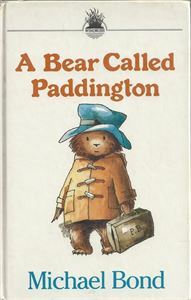 Whether travelling on the underground, building sandcastles, or even just taking a bath, you never know what will happen next, but you can be sure it will be great fun with a bear called Paddington!